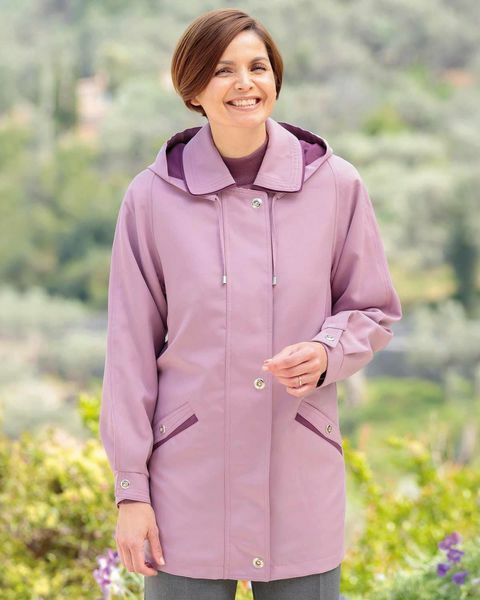 Ladies Showerproof Panama Jacket in dusky pink. Machine washable. Ladies zipped front showerproof jacket with classic collar. Zip and toggle fastening and two pockets on the front. Contrast detail to pockets, collar and placket with detachable hood. 100% polyester. A stylish yet practical garment that will keep you dry on those damp days.